One of my fav IG accounts is Onehourwatch. 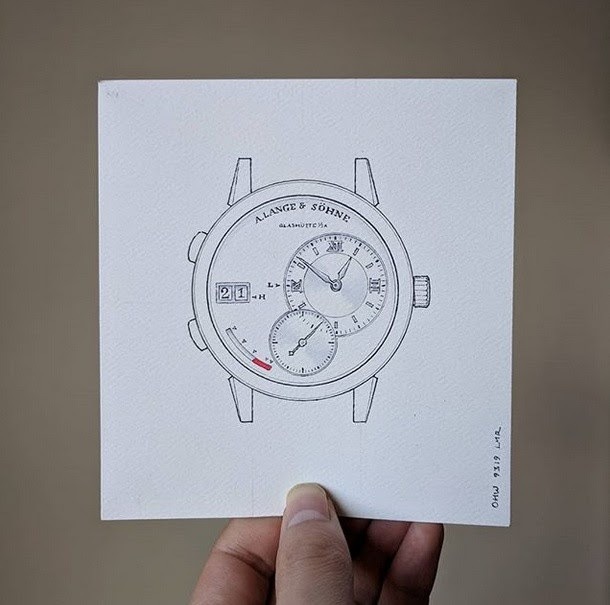 The owner of the account posts on a very regular basis drawings of virtual watches which come from his inspiration. Some of them can't be produced for mechanical reasons but I find a big share of them very pure and appealing. Let's take this lovely project below! Do you know what? I would be in if one day Lange takes the decision to go ahead! This looks very very much like FPJ.